Do you remember, a while ago I received a bag of yarn from my Mum's friend? I have felt sad for a while that I haven't completed anything from this gift and recently I was in the need of comfort knitting, so I dug out the bag. In the bag was nearly 6 skeins of Rowan Polar, which is now discontinued. 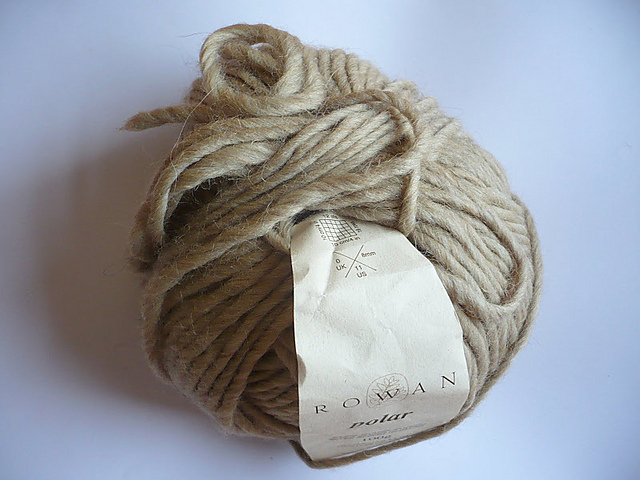 It is a super bulky weight yarn made of 60% wool/30% alpaca/10% acrylic. The yarn in my bag is a nice cream neutral colour that should go with anything. A while ago I found a pattern on Ravelry that I thought I could use with this yarn and I decided that something mindless, would be the perfect pattern for me to knit right now. 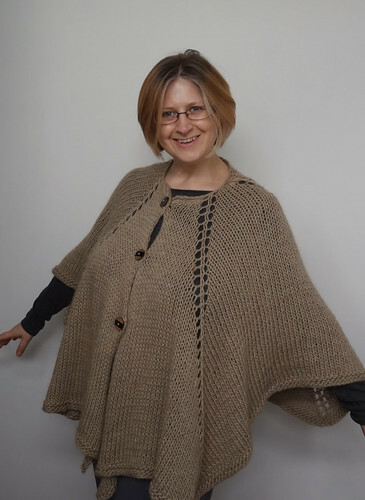 The pattern is the Alpaca Cape Jacket by Siobhan Brown. The pattern was written for Wendy Serenity Super Chunky, but I thought this yarn would be a good replacement. The pattern is written so that the two halves of the cape are knit separately and then a seamed together at the back. It is a very simple design, but that is what I wanted, and I don't think super bulky weight yarn lends itself well to complex lace and shaping anyway. I knit this cape up so quickly over a weekend away, that I didn't have time to take "in progress" photographs. It did take me a while to get round to blocking the two sections, before seaming it, but that is normal in my house. 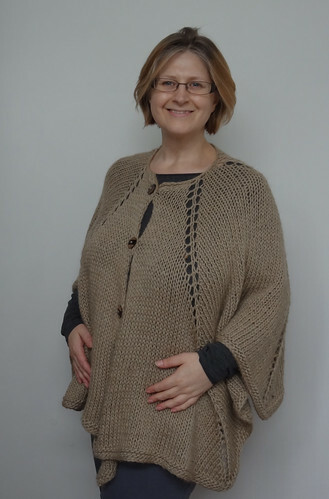 I was surprised the pattern didn't require buttonholes, because the pattern obviously had buttons closing it at the front, but when I had finished blocking I realised that the stitches were so big that decent sized buttons would slip between the stitches. I am really pleased with the buttons I got. They weren't cheap, as they were from John Lewis, but as it is difficult to gauge how a button is going to fit through stitches without trying it, I needed to buy from a physical shop, rather than an online one. 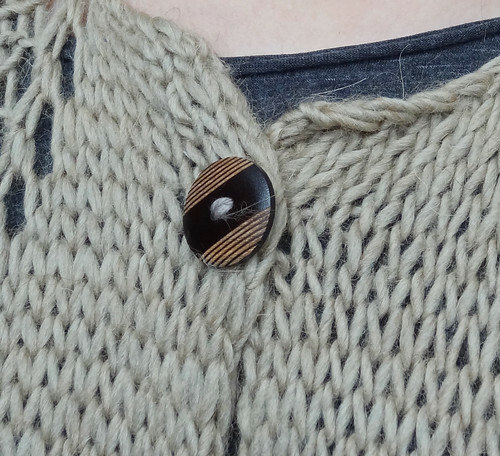 The buttons are wood, which has been varnished and then lines scored through the varnish and top layer of wood. They are really distinctive, which is good, as they are the main focus of the garment. As you can see, the garment is not the most flattering of styles, but I can assure you, it is incredibly warm. As the weather has cooled down, I've worn it to keep me warm on car journeys and over the top of my Melia Cardigan when I go out on my scooter. I am putting off the use of my big Winter coat as long as possible, by layering up the wool! So, though the cape is not flattering on my body type, I still like it, as it keeps me cozy and warm and it was a fun mindless knit. It's also nice to be able to put good use to a generous gift. However, I think I know why the yarn was discontinued, apparently it sheds like a moulting dog! 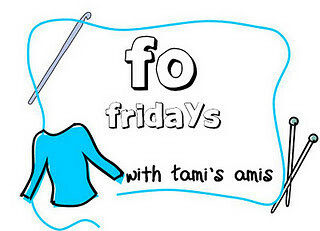 For the first time in a while, I'm going to hook up with FO Friday on Tami's Amis, so if you want to look at some other finished work, click on the button.